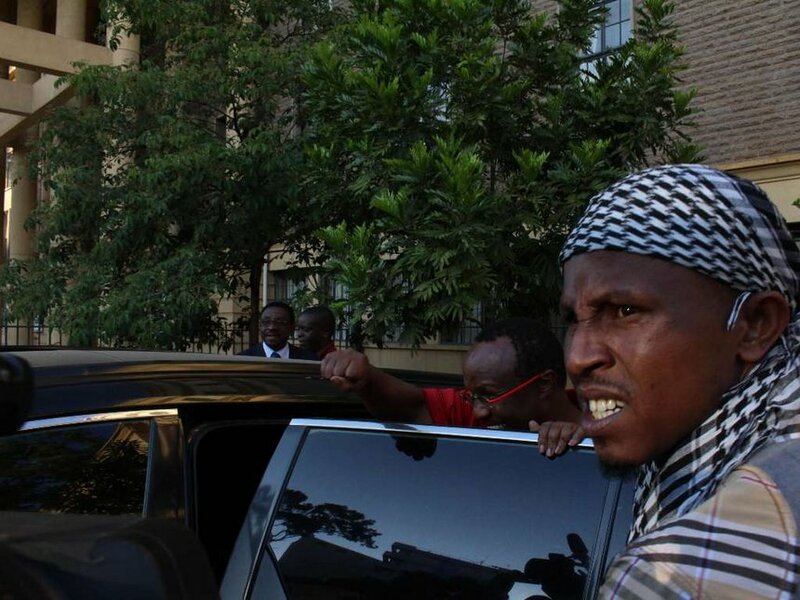 National Super Alliance strategist David Ndii flashes the resistance sign as he is led to a police vehicle outside Milimani Law Courts after his release from cell, December 4, 2017. NASA strategist David Ndii cannot work for President Uhuru Kenyatta or his Jubilee Party administration as he does not respect them. Ndii said this in an interview on KTN News on Monday, noting he and the President are not peers on any level. “I don’t think he is qualified to chart the course on how I can contribute to my country. Uhuru is not my peer professionally, intellectually… anywhere,” he said. Uhuru will rule for another five years alongside Deputy President William Ruto following a tumultuous presidential election. Ndii, who was arrested weeks ago for allegedly inciting the public, defended his vocal criticism of the Jubilee government, noting he has fought for the people’s rights for more than 25 years. “There is the presumption in Kenya that only in government can you make contributions to society…that what I am doing is not important,” he said. The economist noted his push for secession emanated from an intellectual thinking. The strategist further said plans to swear-in Opposition leader Raila Odinga are not treasonable as Attorney General Githu Muigai declared. Ndii termed himself one of the strongest proponents of Raila’s boycott of the repeat October 26 election. The Supreme Court ordered the re-run after the NASA principal successfully petitioned Uhuru’s victory in the August 8 general election. “Why would anyone go for a pre-determined election outcome? I was a strong proponent and it seems Jubilee [leaders were] disappointed that they did not get the chance to give validity to the poll…probably giving Raila 40 per cent and taking 60 per cent,” he said. Protests since IEBC announced the outcome of the original election left many dead or injured. Raila placed the number of people killed at 215 but police denied this. Ndii has not only been vocal about corruption, misrule and extrajudicial killings among other economic and social ills, but also came out publicly to call for secession of a part of Kenya. He is the voice behind the formation of the People’s Republic of Kenya which seeks to exclude central and some parts of the former Rift Valley and Eastern provinces.